NEW DELHI: The legendary Sachin Tendulkar feels India has headed to the gruelling tour of England with “the most complete fast-bowling attack in many years”, a “luxury” that was not there during his 24 years in international cricket. “This is the most complete fast-bowling attack that India have had in many many years. In my assessment, this attack would go as one of the best,” Tendulkar said during an exclusive interaction. Tendulkar had played alongside the likes of Kapil Dev and Manoj Prabhakar. However, Tendulkar didn’t want to comment on what kind of combination India should play. “I think the team management would have to assess which opposition batsman is comfortable against what kind of bowling. There will be a few, who would play the swing bowling well and some will have the technique of dealing with deliveries that move off the pitch. You have to pick the team accordingly,” he said. The highest scorer in Tests and ODIs paid rich compliments to Bhuvneshwar terming him as the man, who can tilt the balance of power in India’s favour with his all-round abilities. “The current India team is constantly looking at seamers, who can contribute with the bat big time. I think these two guys (Bhuvneshwar and Hardik) have contributed crucial runs every now and then. 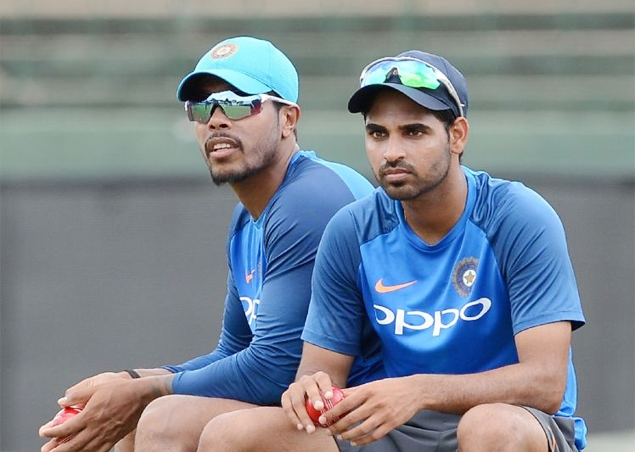 “Hardik has just got into the side but I think Bhuvi contributing brilliantly and that contribution changes the balance of the team in a positive manner,” Tendulkar explained. “It’s good to have batsmen who can bowl four-five overs but even better if we have bowlers, who can score those crucial runs. The kind of contributions that can help you move forward,” he stated. “I think there should be good wickets. It also depends on the kind of summer they have. No one wants to play in wet and cold conditions. I am expecting good bright summer conducive for good cricket,” the legend said. “I think going early will prove to be an advantage. By the time the Test series starts, India would have spent five weeks in England with lot of match practice. It would help the team to get into the groove,” he concluded.